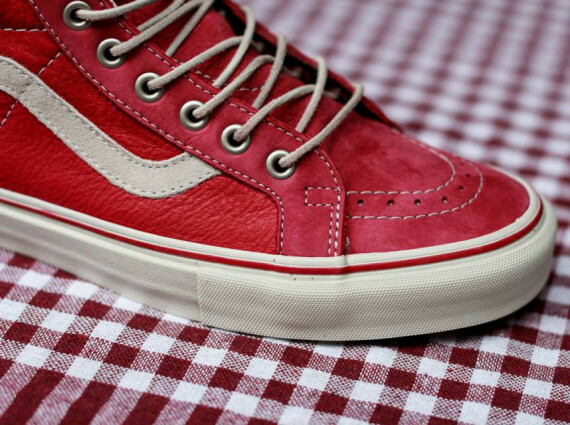 There never is a wrong time for Vans but when the Summer time comes around you can be sure to see more and more pop up on peoples feet everywhere. 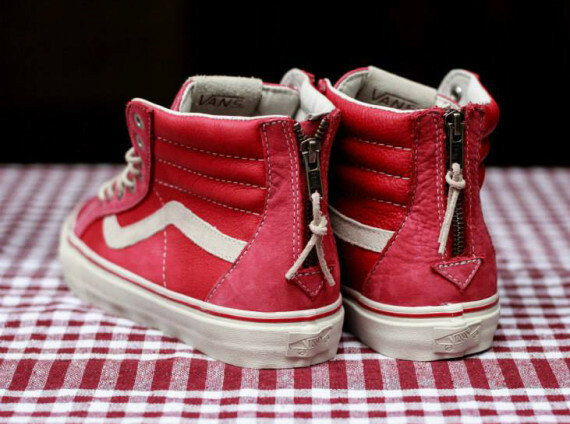 These Vans Vault Sk8-Hi Reissue Zip LX's in Jester Red are an absolute must have for the warm season and is definetaly something that will make you stand out from the crowd. 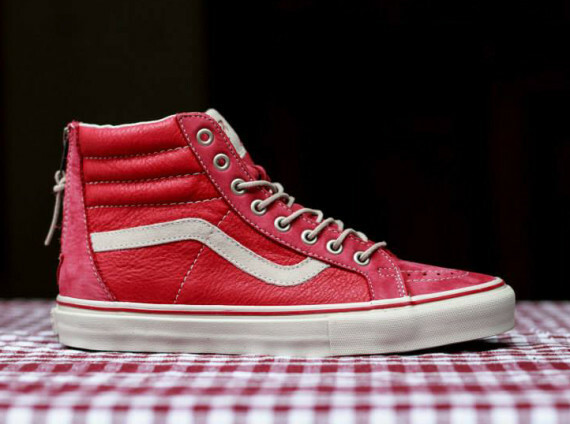 The shoes feature a premium build with high quality leather/suede throughout the upper but what really sets the shoe off is the rear zipper on the shoe giving them that little extra pop. You can look for these available now at select Vans Vault retailers worldwide including Titilo here.